As anyone trying to lose weight is well aware, it is best to cook your own food rather than rely on restaurants and drive-thrus. I am doing a lot better at eating home cooked meals that I was a year ago. I also am getting quite good and knowing what are the better options at the restaurants that I frequent. For example, normally at McDonald’s I will get the Southwest Salad (no dressing). My favorite place to eat out when at work is Au Bon Pain. They have a wide selection of small meals called “portions.” None of the items is over 300 calories and normally has a protein and a fruit or vegetable. These are perfect for eating healthy. Now, as most of you know, fridges in a corporate environment are a common problem. When I worked at a local hospital a group of us purchased a fridge and hid it since the one in the break room was so disgusting. Where I am at now we had an old fridge that does that job, but I would not put anything in it for longer than a day or two due to the temperature of it. The thing that always bugged me about the fridge is that people would put their WHOLE lunch pale in the fridge…thus wasting valuable space. Believe me, I found this very irking. If you have it in a cooler, why do you need to put it in the fridge? Why not take it out of the cooler and THEN put it in the fridge?!?! The cooler has INSULATION. Well, now I know WHY people do this. My friend (we will call her Portia) took it upon herself to solve the fridge situation when other people came onto our floor. Portia spoke with someone about getting our own fridge. So, this nice man went to an auction and got us a fridge. Portia paid the man and proceeded to collect money from those wanting a spot in the fridge. The fee is 10 dollars. 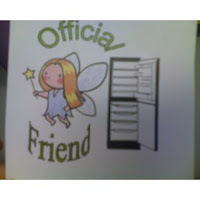 As part of the deal, you get a spot in the fridge and a handy dandy “Official Friend” placard. Things were going well with the new fridge until Portia noticed Dan (not his real name) was using her milk as his own. Bad idea! I am friends with Portia and I NEVER would swipe some milk without asking. Even then I bring my own milk. I did mention that it was good Dan didn’t swipe mine because I drink it straight from the carton! It’s MY milk! Now, this is bothering us. Why did he swipe the milk? Does he think he is at home and everything is his? This is not community milk. I also must mention that Portia buys ORGANIC milk. DO YOU KNOW HOW MUCH ORGANIC MILK COSTS?!?! I recently picked up some for Portia and it was 4 dollars a half gallon. Now, it has been going on so long we do not know what to do. Now, I know what you are thinking! Just tell him to quit drinking the milk! Why would we do that?!?! That would be way too easy and we don’t want to sound petty. Personally, I am trying to catch him taking the milk and then plan on saying to him; “Portia lets you drink her milk? That’s odd. She really doesn’t like sharing the expensive milk.” Of course, Dan is so dense he probably still would take the milk! HE OPENS IT WHEN IT IS A NEW CARTON AND SHE HAS NOT OPENED IT! Well, I am to drink the milk today so Dan doesn’t…I am thinking of putting a note on the milk that says; “Don’t Drink.” I am also thinking of going in the breakroom, when he is in there, open the fridge and take a swig straight from the carton! 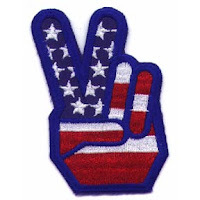 Well, something “clicked off.” I am not sure what it was, but last Thursday I was all the sudden in a peaceful state. Of course, my new mental state could have come along gradually, but I did not notice. For several weeks I could not get my mind to slow down. Good thoughts and bad would just stay there and never leave. It is no secret amongst my closest friends I get more than a little strung out during the winter months. With additional supplements and a little prescription help my mind is a bit clearer. I even bought a CD on beginning mindfulness. I tried meditation in the past, but could not succeed in slowing down enough to do it. Now, I think it is a possibility. -Apparently some people do not retain enough Vitamin D which can affect your moods. -Fish oil is good for lots of things including stabilizing moods. Coromega in my humble opinion is the best way to get fish oil! -Zoloft is not known to promote weight gain. -From my friend Sherry, I learned that Pearl “pills” are a great substitution for the active cultures in yogurt. This was confirmed by the dietitian and physician today. -Excess water weight and bloating can be reduced by insuring that enough potassium is eaten daily. Foods high in potassium include: sweet potatoes, chick peas, bananas, raisins, and many others. Because I am feeling better, my goal for the next couple of weeks is to kick my exercise campaign into high gear. I need to start getting ready for the Mini Marathon and build up some muscle mass. I would like to be walking at least 10 miles a week before January 1st. I am all out of amusing stories regarding weight loss and exercise this week. P.S. I lost 4 pounds this week! 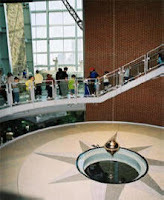 I have been feeling like the Pendulum that swings in the Indiana State Museum for the past several weeks. One minute I am on top of the world and the next minute I am a mama bear with someone too close to her cubs. My motivation and give-a-darn are busted (you country music fans will get that joke). Today I feel like I am on the mend. The physician said that my Vitamin D levels were REALLY low and I am having my normal seasonal carnival-freak-crazies. I started taking a Vitamin D pill and have a “sun” light to use. Both of these solutions should perk up my mood. Of course, I contend that there is no cure for lazy. The physician is recommending that I see an acupuncturist. YIKES! I am willing to try it (once, if awful) so I will call and schedule an appointment for next week. Everything else the physician recommends is helping, so I will just have to take a leap of faith on this one. For those that do not like to take the huge fish oil capsules (e.g. Me), I purchased on the physician’s recommendation something called Coromega. “Coromega is the easy and fun way to ensure that you and your family get the essential fatty acids you need to promote good health. Because Coromega is the only Omega-3 supplement with a delicious, creamy-orange flavor and delightful pudding-like texture – with absolutely no fishy tastes or burps. Guaranteed! And, it comes in a convenient daily dose squeeze packet!” I agree that there is absolutely no fish oil taste. I would not use the term “delightful”, but it is definitely MUCH more enjoyable than taking the fish oil capsules. I am also learning about Breath Walking. I felt silly practicing it in the office with the doctor, but I did it on my own at lunch. I was definitely energized! I am going to see if I can find some MP3s to learn how to do it properly to get the maximum effectiveness of it. Lately, I am getting a lot of people noticing that I have lost weight. I purchased several new tops that show off my curves. People are definitely noticing! The only other sorta bummer thing to happen this week is that I gained 2.5 pounds, but I lost 2 pounds of fat. It looks like I am one big water balloon. I am sure that weight will all be gone next week. I received the results from my 30 week blood tests and they are VERY EXCITING! My insulin levels are normal, my cholesterol is normal, and everything else like that is NORMAL! I am very proud of myself right now. There is no doubt that I am at the start line of a journey that will continue the rest of my life, but I have made some SIGNIFICANT changes in the past 7 months. I have several social events and holiday parties over the next 8 weeks that will test my ability to imbibe and indulge without overdoing it. I must again thank all of my friends and blog readers for the support I receive. Having all of you hold me accountable is one of the techniques that is proving to be the most helpful. Now, dear readers, I have the most important news to share. I purchased my spot in the Mini-Marathon. Yes, I did it! There is no turning back now. EEEEEEK! NOTE: I MIGHT not be able to post next week. I will be in Chicago for a WEDDING!